David from 37Signals wrote a great piece on ‘The end of the IT department’. "When people talk about their IT departments, they always talk about the things they’re not allowed to do, the applications they can’t run, and the long time it takes to get anything done….None of this is a good foundation for a sustainable relationship." 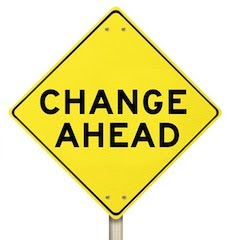 "But change is coming….You no longer need a tech person at the office to man ‘the server room.’ Responsibility for keeping the servers running has shifted away from the centralized IT department. Today you can get just about all the services that previously required local expertise from a web site somewhere"
We always involve the IT departments in big companies when we are implementing. We are usually pleasantly surprised at how willing they are to use a ‘cloud-based’ solution. Less headaches for them and they don’t need to be involved in support calls – the business just calls us directly. I can understand why. The number of business applications they would need to be across in a large organisation would be huge. Do they really need to get across a new application used by 5 people in HR for Onboarding new employees? I don't know if they IT department is ending in large corporate, but it is changing – and they seem to be welcoming the change. Well at least one more article is actually seeing the benefit of cloud computing and associated cost saving for a company not having to rely on their I.T department for support. However, there is the obvious pitfall what if the cloud hosting company is out of business or has its servers being hacked. Then again the risk of this is much smaller in comparison to the cost effectiveness of outsourcing a company I.T department needs. Secondly, if hosting companies employ strict security safeguards then the risk would even be further reduced.